Canon introduces the smallest 11X17 business class scanner available on the market! Canon ROCKS the industry with the newest desktop “Native 11X17” Capable Document Scanner. Why choose the Canon M1060 over the competition? In my personal opinion the M1060 11X17 scanner is going to be the best solution for those customers looking to scan a small amount of 11X17 documents. Plus the New M1060 scanner is not going to break the bank. Keep in mind most 11X17 scanners are made for mid volume production scanning so those scanners cost much more to purchase. 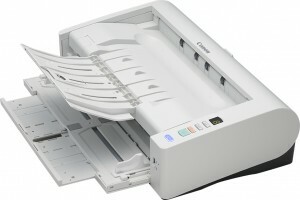 The example would be the Canon DR-6030C and the Fujitsu 6670 PSIP Scanners. Did I mention it is portable. This small M1060 scanner is small enough to fit in a laptop bag allowing end users to take the portable scanner on the road. Great for construction scanning, portable tax scanning, legal scanning especially for the attorney on the road or in the courtroom, Financial Services, Healthcare and many more. With the long document mode you will be able to scan documents with lengths up to 118″. This scanner’s minimalistic design can help to maximize your desk space and leave plenty of room to tackle other important office tasks. Total Cost of Ownership. The Canon M1060 again will not break the bank. The unit comes with a 1 year manufacture warranty (AUR) this allows the customer complete confidence in scanning for the 1st year and if the scanner does have a manufactured problem the unit will be replaced allowing the customer to be up and running the next day. The customer has the option to purchase POST Warranty service on the Canon M1060 scanner for less than the larger Canon or Fujitsu models. The annual service on the M1060 Scanner is about $445.00 per year or you can opt for the multi year value ad contracts at discounted prices. Replacement Roller Kits can be purchased to ensure proper feeding during the course of the year as needed and are end user replaceable. Thus keeping the cost down and the Total Cost of Ownership minimal. 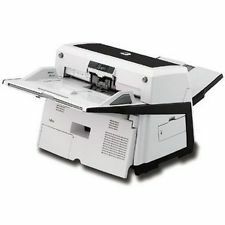 The Canon M1060 scanner is a great low cost scanner for the consumer that has the need for 11X17 scanning down to business card size documents. 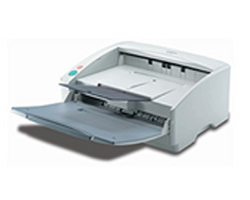 For best price on the M1060 or multi unit pricing contact us here at Scanner One, Inc.